The fact that food production is both damaged by GHGs and a source of GHGs makes it doubly important that climate change and food security be given top priority. This is not the case at present. Both aspects are being practically ignored, all attention being given to fossil fuel CO2 emissions. 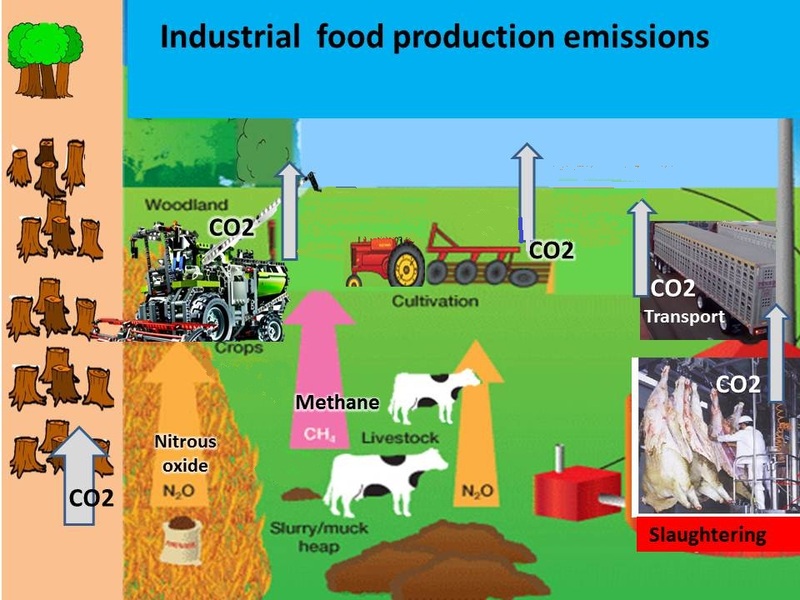 If we don't control food production emissions our food production today will damage food production in a few decades from today. ​​So our food security depends on changing food production practices today to control emissions - as well as stopping fossil fuel CO2 emissions. ​​This a very complicated chart, and that is its point. 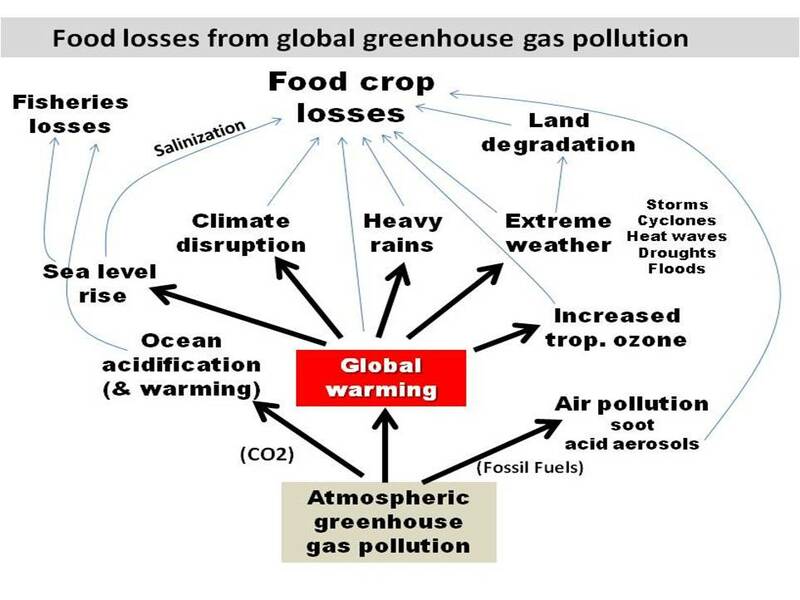 There are a great many adverse impacts of GHG pollution caused global warming and climate change on food productivity. 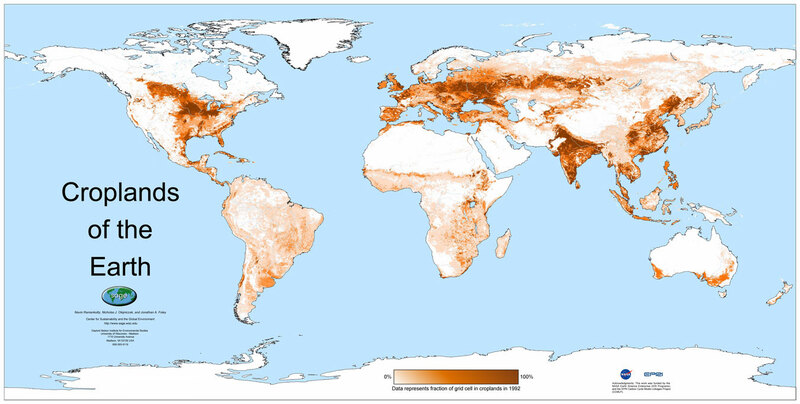 Fossil fuel air pollution damages crops by acid rain and in particular by ground level ozone air pollution. This ozone is formed by heat catalyzing a chemical reaction of fossil fuel air pollutants (VOCs) to form ozone in the ambient air. Ozone in our air is toxic to our health and it is also toxic to green plants impairing their capacity to grow by photosynthesis.